If you’re diving into the world of live streaming for the first time, you’re eventually going to have to decide what software to use. Choosing between live streaming software can be a challenge. There are a lot of different options available, with a confusing array of features and pricing structures. This article will demystify the various live streaming software packages (aka encoders) that are available today. We’ll look at three of the most popular choices and their fundamental attributes. We are going to be focusing on those that are RTMP-based. We’ll start with the most popular, open source live stream encoding software: OBS Studio. 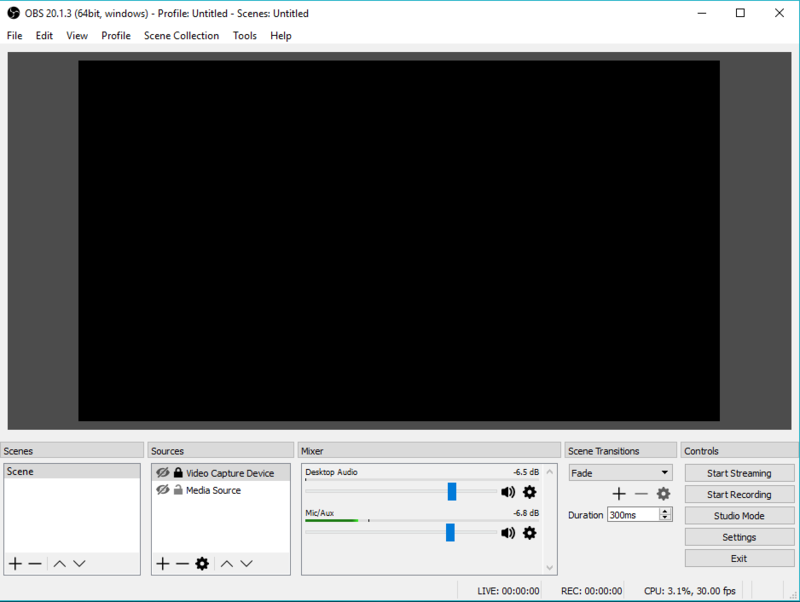 OBS (Open Broadcaster Software) Studio is a free broadcasting software to stream live video and record live streams. This live streaming software is compatible with Windows, Mac and Linux. You have direct integration with several live streaming services and can use RTMP ingest stream which makes OBS Studio compatible with most of the video streaming platforms of the market. OBS Studio supports FLV/MP4 video files and AAC/MP3 audio files as well as basic video effects, such as chroma key. It includes a built-in basic audio mixer. One of the cool thing with OBS Studio live streaming software is the ability to add multiples video sources and audio sources with a very easy transition between each one of them (you just have to click on an icon to enable or disable the source). The last feature I want to talk about here is the support for added functionality via plugins (there are a LOT available!). Because it is open source, it’s relatively easy to create modified versions of OBS Studio that integrate new features or streamline your workflow (as we have done at DaCast). Available for Windows, Linux and Mac OS. Download here. See also Tutorials and Forum discussions for help. The next application we will examine is Wirecast, a professional level encoder for live broadcasts from the Telestream corporation. Wirecast has some advanced features that set it apart from the competition. For example, Wirecast allows input feeds from cameras, your desktop, video or picture files, and even attached iOS devices. The latter is done through an application called the Wirecast Cam App. The encoder supports live switching, but also transitions, lower thirds, titles, picture-in-picture, and other elements that add polish and professionalism to a broadcast. For sports, Wirecast even features a scoreboard overlay feature to immerse the audience audience in the game. 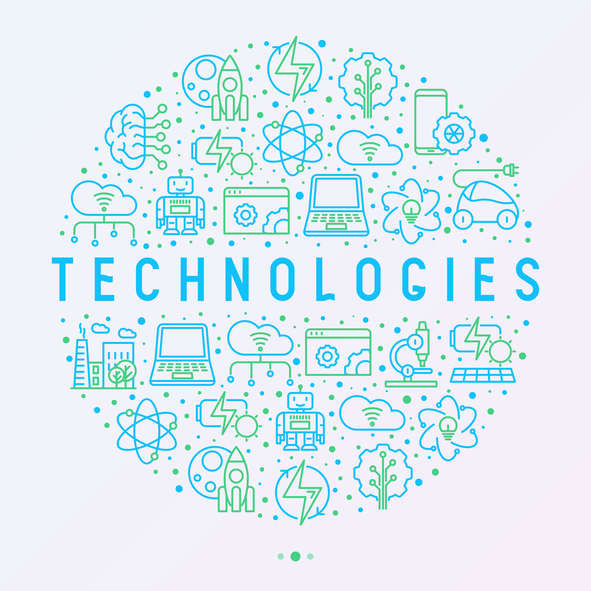 Other advanced features provided by Wirecast include chroma key, playlists, Twitter feeds, support for all common encoding formats and streaming protocols, external monitor output, and recording to disc. This is only a partial list, as Wirecast is very full-featured. Wirecast Studio, the basic version of the software, costs $495.00. The advanced version, Wirecast Pro, adds support for HDV, replay, more devices, and other features for $995.00. If you need premium support, you can purchase it for $99. Windows and Mac OS. Download a free trial here. Requires a relatively powerful computer, especially for HD video streams. For tutorial, it is here. Let’s take a look now at vMix, another professional-level live streaming software package. Though Wirecast offers a wide range of features, vMix may overtop it with support for video up to 4k resolution, DVD playback, and just about every file format you can imagine. vMix provides similar transitions to Wirecast. It also offers live video effects, including color correction, sharpening, zoom, rotate, pan, and crop. vMix is well-suited for highly demanding live productions. One example is it’s support for a touchscreen web interface. This allows a producer to use a handheld tablet to switch sources in real time without having to sit behind a desk. 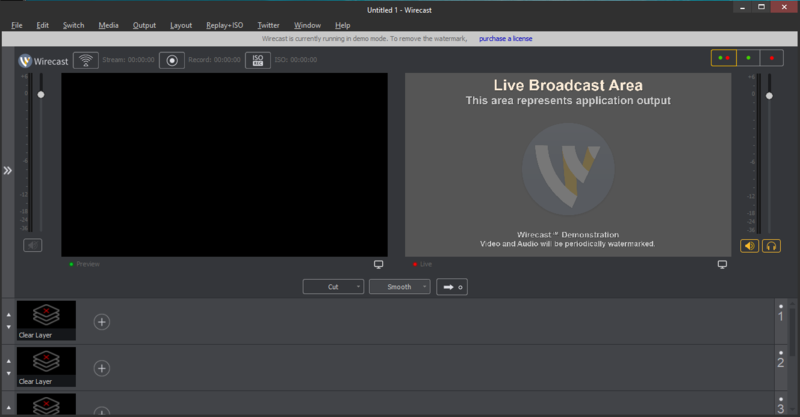 For situations in which you’re making minor edits to the live stream, vMix allows you to set a short delay between recording and the live stream. It also supports slow motion and concurrent recording, streaming, and output to viewing monitors. The price of vMix live streaming software varies depending on the number of inputs and overlay channels you require, as well as on the resolution at which you wish to stream. The basic version of the app with 4 inputs and SD resolution is free. The basic HD version of the software is $60. Multi-source streams with high resolutions increase the price, with a 4k version coming in at $700. vMix is available for Windows only, although the Desktop Capture program is available for Mac OS X. You can download a free trial here and access a how to guide here. Of course, these aren’t the only three options for live streaming software out there. Alternatives like VidBlasterX, XSplit or also hardware encoder are also worth considering. In some settings, these products will provide more than enough power and features. Whichever encoding live streaming software you’re leaning toward, make sure to download a trial version and run plenty of tests to determine compatibility with your hardware and online video platform with CDN access. The last thing you want to happen is to run into some glitch in the midst of an important broadcast. We recommend you test out the streaming solutions of a given platform before committing. That way, you’re sure that platform offers the features you need! And of course, if you need more power and reliability than can be provided by live streaming software, you should probably look into hardware encoders. vMix, for example, has a wide range of portable, high-powered encoding systems that provide the most robust, versatile, and capable options for broadcast situations. Other hardware encoders, including rack-mounted models that are made for permanent use, can be found on the B&H Photo Video website or at comparable stores. We’re operating in a golden era of live streaming. 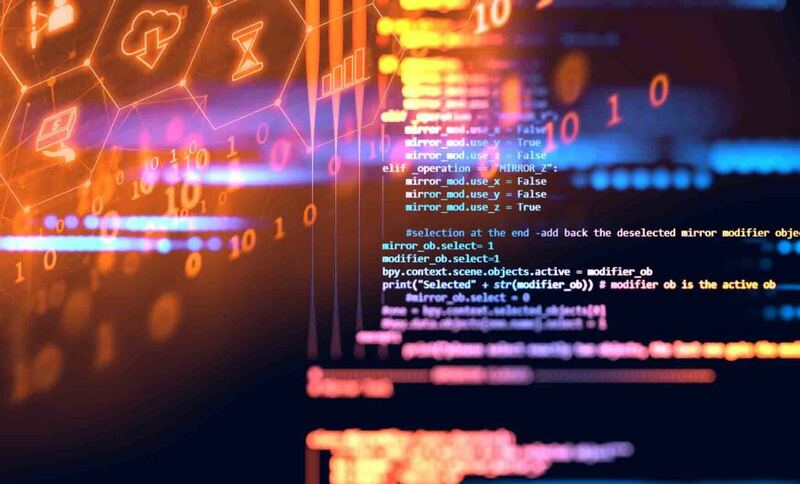 The tools to broadcast your content via live streaming software are more affordable and powerful that ever before, and encoding software is no different. Now, all sorts of organizations have the ability to reach a worldwide audience with minimal expenses. We hope this article has helped you choose the right encoding software for your live streaming needs. DaCast helps a wide range of businesses get started with live streaming–whether you want to occasionally stream live video on your website, do regular, professional live event broadcasts, or anything in between! If you’d like to try out our services, you can check out how our live streaming platform could boost your business with our 30-day free trial (no credit card required). We’d love to help you meet your streaming goals today. We love to hear from our readers, so if you have any questions or experiences to share about live streaming software, let us know in the comments! For regular tips on live streaming, feel free to join our LinkedIn group. Thanks for reading and happy streaming. What is the Best Video Streaming Service for Education and Online Learning? This list very helpful in identifying some of the software used in live streaming. However, I would like to add one more option for live streaming software that wasn’t on your list: Production Truck. Our Production Truck software has many features that can improve your live broadcast, including the ability to capture replays, video clip playback, picture-in-picture, and more. We have default scoreboard and image overlay graphics, and our graphic system is extremely user friendly. We think we have the best live streaming software, at a competitive price point compared to the software on this list. If you would like a trial or are interested in more information, just let us know. Contact us by emailing help@blueframetech.com or sales@blueframetech.com. I will try your product and eventually cover it in one of my future posts. Romain, glad to hear it! Let us know if you have any questions after trying it out. Some(not all) of the features listed here for vMix as “on top of Wirecast”, are actually in Wirecast too. I agree with Jaroslav. Livestream studio (full version of course) works very well with Dacast. I am surprised you did not mention it as it has a huge user base and many are using it with various RTMP platform including Dacast. It has a far nicer GUI than VMIX and Wirecast in my opinion. Vincent, thank you for your comment! Livestream Studio is a complete solution and some of our customers use it. The only downside is that we do not offer support for it. OK I see what you mean. I just looked at the stream settings in VMIX and saw your integration in the drop down menu. It would be interesting to see this type of integration in Teradek encoders at some point also. Indeed, that would be fantastic! We are actively working on this integration. Great that is something to look forward to. I am putting some of my new clients on to Dacast running on Vidiu Pro. Filling in the RTMP settings is simple enough for people used to streaming but for the non tech types it would be nice to just log in via a simple UI. Thank you for reading this blog and for your comment! Using in our church. .. how do i integrate presentation software like PowerPoint and Slidedog? Which encoder will work with this? Thank you for reading this blog! Most Encoders offer the option to add various layers on the Live Stream. You can for instance set up a “Screen Mirroring” that would redirect to you PowerPoint or else. You can try this feature on OBS for free, or on the other encoders. Really? The best you could do with vMix was to show a screen capture that includes a camera shot with the wrong aspect ratio? I guess since DaCast also sells Wirecast I shouldn’t be surprised. We, at DaCast, do not recommend any specific Encoder over others. I personally use OBS because it is Open Source and very complete. I also use vMix when I’m streaming from a Windows computer. I must say this. You are off your rock when in saying, “Complexity (steep learning curve)”. when it comes too using vMix. Think Martin Sinclair said it best a while back. vMix is so logical and “easy to use” that it throws a curve to many when they first start using vMix. No streaming software should be that easy to use! But it is. Thanks sharing this quote George! Wirecast is one of my favorite solution around. I never personally experienced the Livestream one but I heard so many complaints already that I would never recommend it to any of the accounts I manage. It would be too risky. VMix is another really good paid option around. And if a broadcaster doesn’t need multi bit-rate, I would always recommend going with the free and open source OBS studio! Thank you reading us Tom! Just by curiosity, who are “they”?